Thinking about 2014, trying to single out my favorite contemporary art exhibitions, excluding those presented in museums, I’ve found myself in sort of a pickle. Dynamic as it was, the year we are leaving behind was filled with too many fantastic exhibitions, and no one criteria would ever do them all justice. So, I’ve decided to limit my choices to contemporary art exhibitions that moved me or inspired me the most, those I deem important. They range from photographic retrospective of one of the photographers I sincerely admire, Robert Mapplethorpe, ending with a show of new works by my ultimately favorite painter, David Hockney. In the middle, in a chronological order, I’ve tried to give an overview of artists that have managed to fascinate me, either by their skill or brilliance, of phenomenal installations, or shows I believe will leave a mark in the current art and art history studies. Another one of the urban-contemporary artist I’ve discovered in 2014 is Aakash Nihalani and his exhibition Vantage inspired me into thinking of the true importance of viewpoint, which this inventive artist achieves in the most simple, but the most ingenious way. 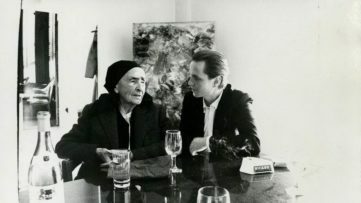 A review of artistic connections from the 80’s presented in David Zwirner New York last May is a show, but also an excellent study of one time and cultural climate. I’ve never seen someone refer to the Gothic period in such a manner as Gehard Demetz does, without ever diverting from contemporarily relevant subject matter. I have to admit – I have a newfound admiration for Takashi Murakami. The superflat never inspired me as much as his Arhats do, and I’ve often been returning to this cycle, finding it both exhilarating and intimidating. A spatial installation created by Simon Heijdens for the NOW gallery embodies everything I find important in art, realized through a perfectly innovative method. Flickering of light, the unpredictable dance of the natural and the artificial, connected by the ethereal – amazingly intense. Keith Haring is another discovery of mine for 2014. Not that I did not know who he was and what he did, but the sheer power of his expression has made me a follower. The Haring exhibition at Pace Prints has won me over with “for the first time ever” and “rare”. And with the fact printmaking is dear to me on a personal level. Warhol was wrong – fame lasts longer than 15 minutes. At least, his fame does. 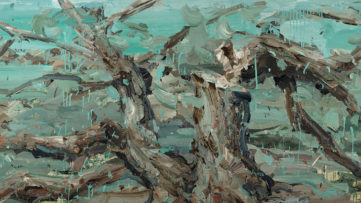 And there’s nothing I love more than finding connections between artists of different epochs. So, Love is Enough, love for art, that is. Apparently, China is the country to watch, not only in painting and sculpture, but in photography as well. Different cultural background equals surprising and magnificent visual solutions, as Chinese contemporary photography show demonstrates. Last, but dearest, Hockney. He’s back in California, where he continues to work, just him, his assistant, his light, his models and his cigarettes. This is where I’m not objective, because the shrewd mind of a painter-who-feels-30-when-working is something I will always applaud in delight. I hope our readers will find my selection of contemporary art exhibitions as inspiring as I have in the year 2014. Every single exhibition of Robert Mapplethorpe’s photographs generates a huge buzz worldwide and turns out to be a great success. 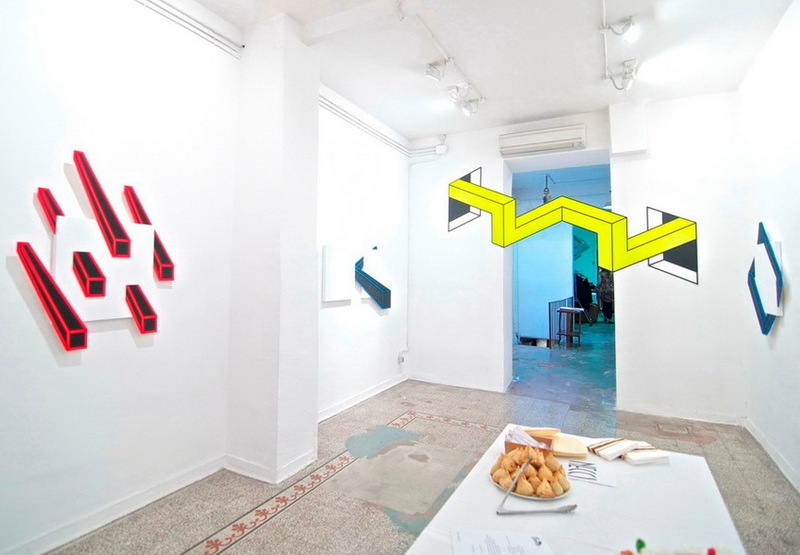 This was also the case with the exhibition titled As Above, So Below which was held in March 2014 in the renowned OHWOW Gallery from Los Angeles. 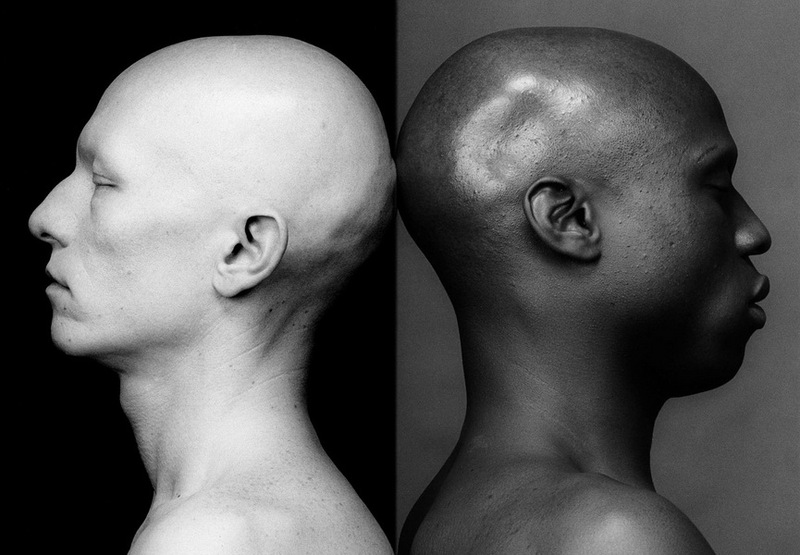 Mapplethorpe, a genuine pioneer and a true star of the New York City underground art scene of the 1980s, shaped the modern photography of the twentieth century with his groundbreaking works, never before seen in the medium. Mapplethorpe’s exceptional talent was on display for thirty days during the OHWOW Gallery’s highly visited As Above, So Below exhibition. Those fortunate enough had a great chance to see well over fifty magical Maplethorpe’s photographs, polaroids and silver gelatine prints, including some of his most wonderful and rarely exhibited pieces. Last spring the acclaimed Wunderkammern gallery from Rome hosted its highly entertaining show, which turned out to be one of the most exciting art events of the year. 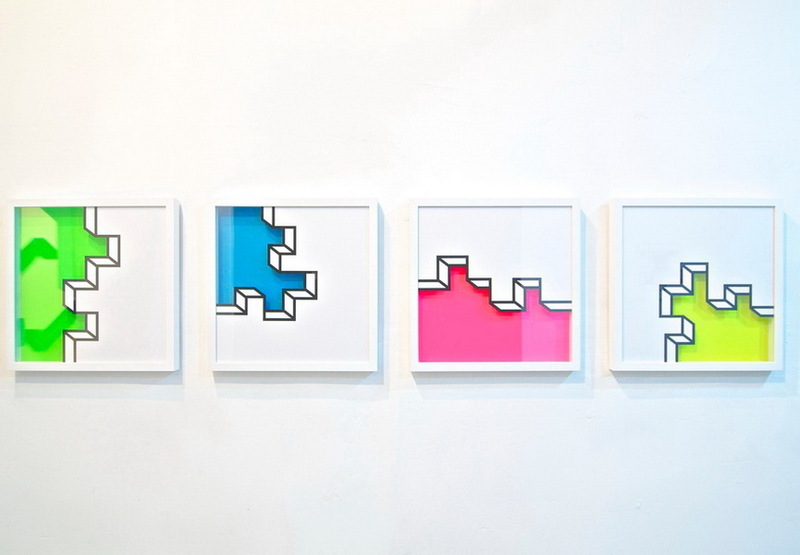 During their premier show titled Vantage, the gallery showcased some of the latest works by Aakash Nihalani, American urban and street artist who has been shaking the international urban art scene in the recent years. Nihalani, widely known for his abstract works of broken geometric shapes and optical illusions, usually works with scotch tape and acrylics to create visually intriguing paintings and installations. In addition to several new mind-bending street art pieces which were exhibited during the Vantage show, the audience also had a chance to see Nihalani’s site-specific installation that appeared to be breaking through gallery walls. The Invocation was the title of the Gehard Demetz exhibition which was held in May 2014 in the renowned Jack Shainman Gallery in New York City. Demetz is a famed Italian sculptor, formally educated in the tradition of religious sculpture, a centuries old craft of his hometown of Bolzano. Since his artistic debut almost a decade ago, Demetz has been widely praised for his excellence of craftsmanship. 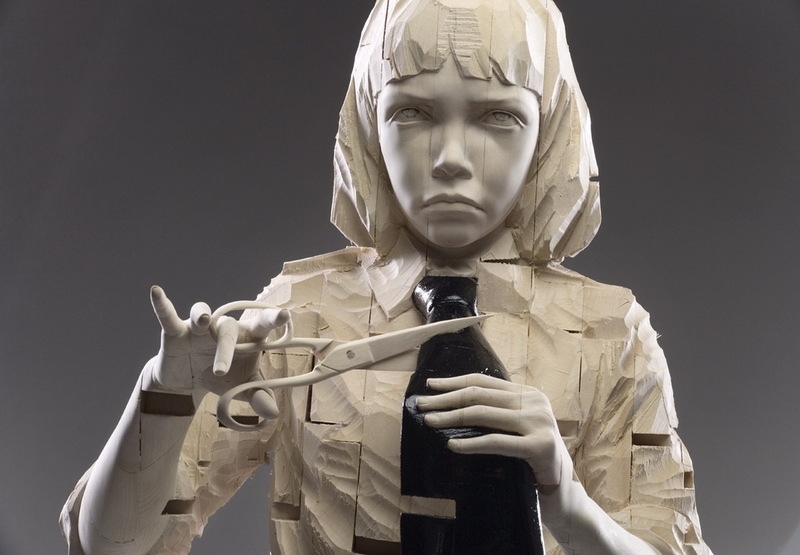 Using children as the main subject of his sculptures, Demetz deals with contemporary culture and its destructiveness through politics, religion and war. 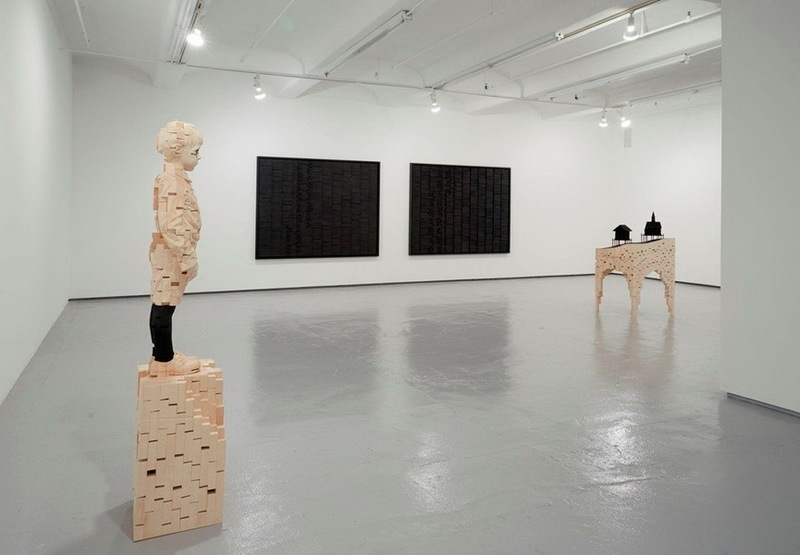 In his second exhibition with the Jack Shainman Gallery, Gehard Demetz showed his latest artworks which continue his extraordinary artistic exploration of contemporary subjects through the traditional practice of woodcarving. Takashi Murakami is a Japanese painter and sculptor of international renown, widely known for his extraordinary works that wonderfully fuse together different elements of fine art, cultural criticism, commercialism and Japanese aesthetics. 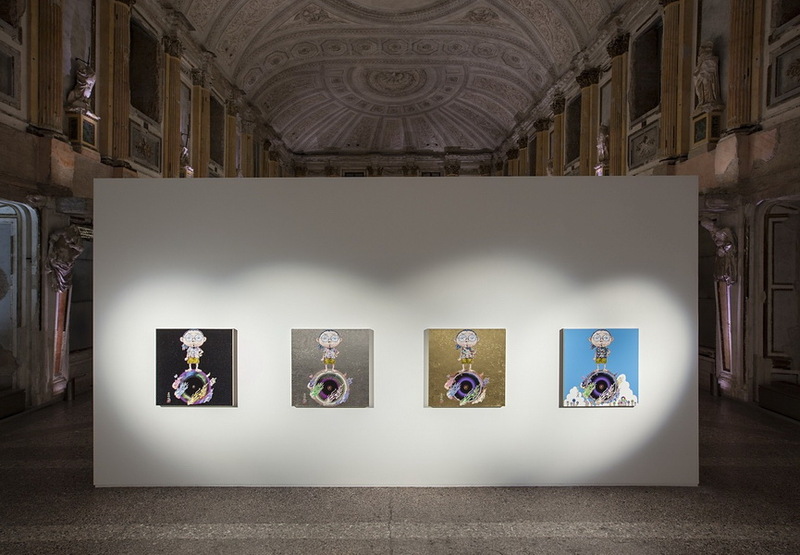 This summer Palazzo Reale and the Comune di Milano presented their exhibition of Murakami’s latest works titled Arhat Cycle. artist’s first major show after the one held at Versailles, four years ago, and also his first ever showcased in a public space in Italy. The exhibition, curated by Francesco Bonami and organized by Blum & Poe and Kaikai Kiki, showcased Murakami’s exceptional new works he made after the Fukushima disaster. The audience had an opportunity to see Oval Budha Silver sculpture, as well as the series of three large-scale Arhat paintings, and a new series of Murakami’s mesmerizing self-portraits. London based NOW Gallery is a public exhibition space for contemporary art and design, located in Greenwich Peninsula. The gallery features works by a programme of unique three-month commissions called Now Commission which invites shortlisted artists, designers and creatives to come up with an exciting and exceptional installations that will transform and react to the gallery space. The first NOW Commission has been awarded to Simon Heijdens, acclaimed Dutch installation artist, who has created an immersive installation and site-specific commission titled Shade which premiered on September 19. 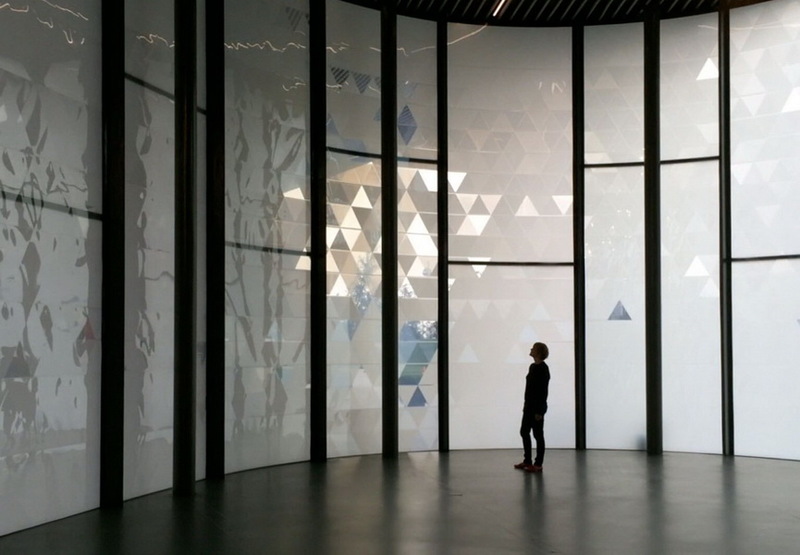 Simon Heijdens’ installation shades NOW Gallery with an intelligent skin applied to the 7 metre glass, and it forms a kaleidoscope of light and shadow choreographed by the elements. Heijdens’ Shade installation will run through December 19. Pace Prints is a publisher of contemporary fine art prints and a contemporary art gallery focused on exhibiting and selling a wide variety of prints by contemporary artists from the 1960s to the present. Founded in 1968, Pace Prints has since collaborated with over 120 artists in creating their groundbreaking print editions, which are printed in one of the publisher’s three printmaking workshops. This November Pace Prints presented Keith Haring exhibition, organized in cooperation with the Keith Haring Foundation. 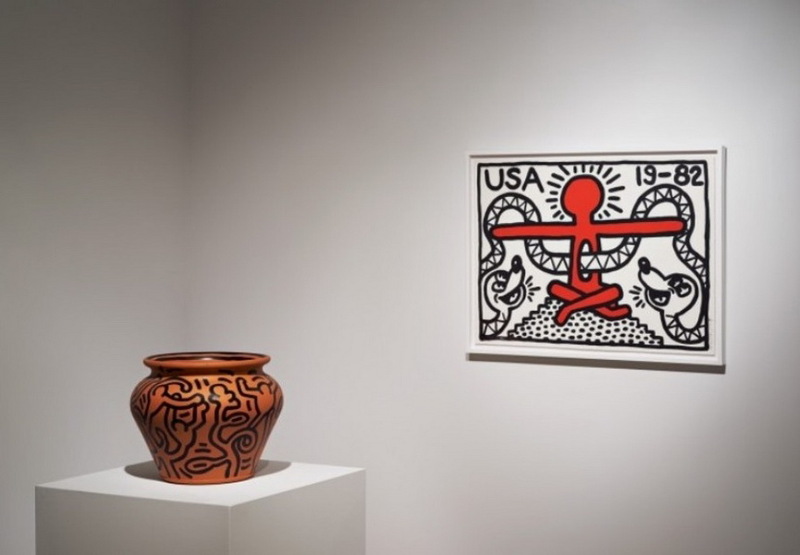 The entire exhibition is emphasizing the purity of Haring’s line and his dynamic execution through the selection of seemingly simple black and white compositions, with Untitled from 1986, the largest print in the entire body of work of Keith Haring being a true star of the show. 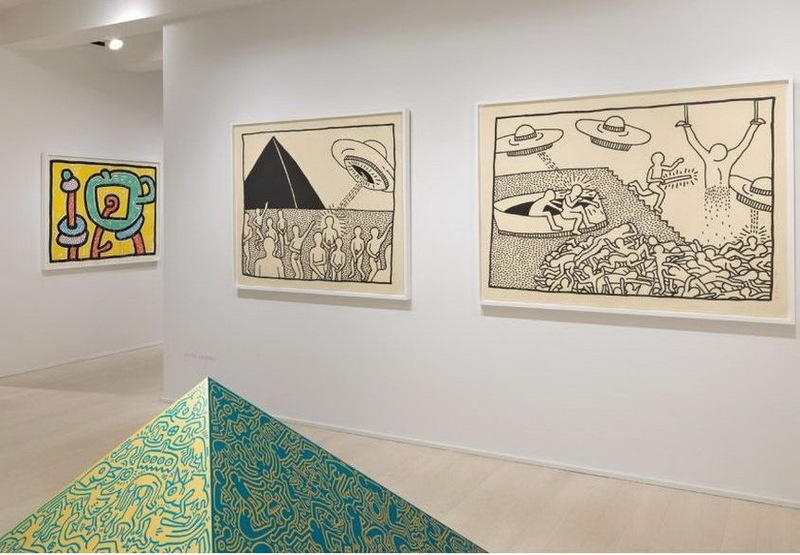 Pace Print’s Keith Haring show will be on view until December 24, 2014. 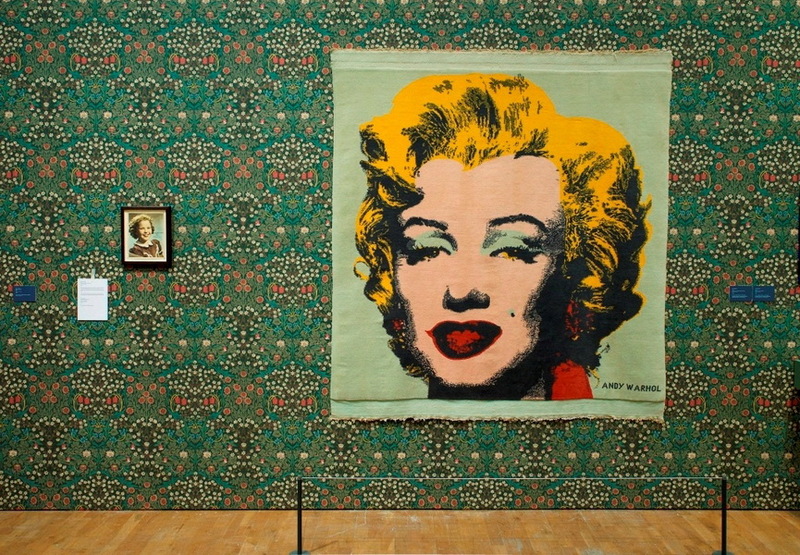 Love is Enough: William Morris & Andy Warhol opened a week a go in Moder Art Oxford, renowned modern and contemporary art gallery from Oxford, England. 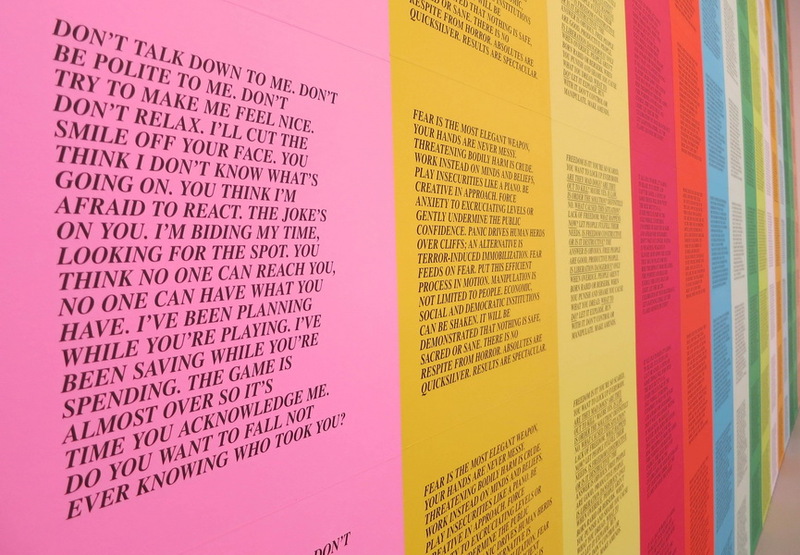 Curated by Jeremy Deller, English conceptual, video and installation artist, the show draws together iconic and rarely seen works by two giants of the 19th and 20th centuries. 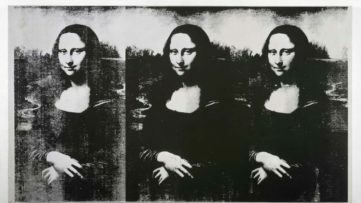 Deller, who cites Morris and Warhol as his two greatest artistic influences, successfully draws many surprising connections between these two artists. 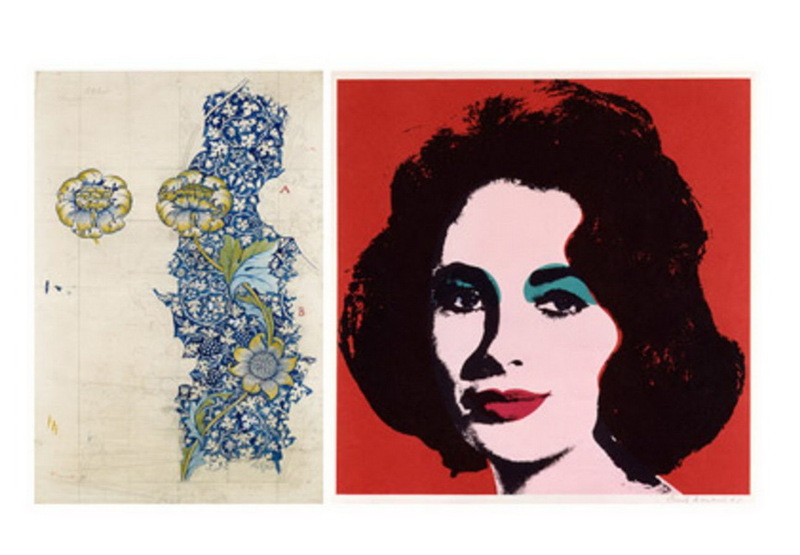 Extraordinary selection of artworks, including Warhol’s iconic silkscreens and a panel from the epic and rarely seen Holy Grail tapestry series by William Morris, have been sourced from both public and private collections across the UK and the USA. Love is Enough will run through March 8, 2015. 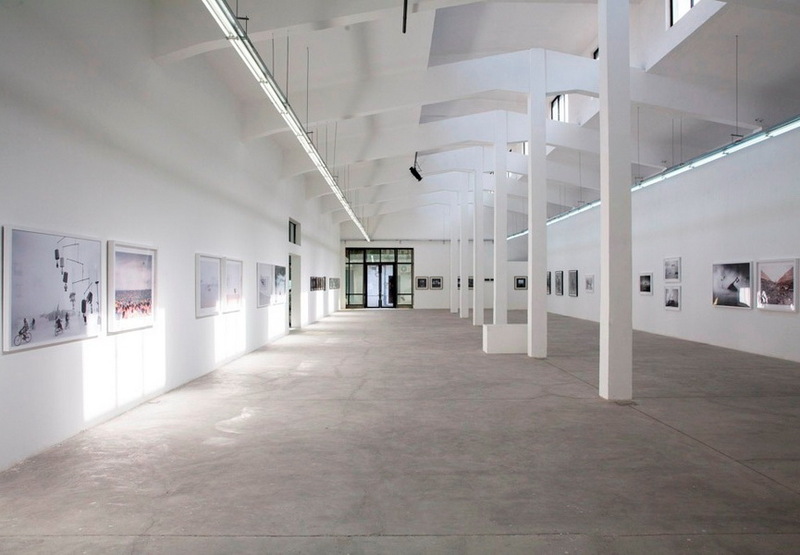 Two weeks ago, renowned Magda Danysz Gallery Paris opened its latest show titled Contemporary Chinese Photography, showing the cross section of an entire generation of young Chinese photographers. And there is hardly a better place to get your eyes on cutting-egde contemporary Chinese art than in Magda Danysz Gallery, which has its branch right in the middle of it, in Shanghai. Contemporary Chinese Photography features exceptional artistic achievements of several photographers of the contemporary Chinese scene such as Maleonn, Feng Fangyu, Peikwen Cheng, Zhou Hongbin, Ma Kang, Huang Xiaoliang, Qiu Minye, Zhang Bojun. The show is still running, and closes on December 23. David Hockney, one of Britain’s contemporary masters, opened his last exhibition this November at the renowned Pace Gallery in New York, and it is his first exhibition since 2009. 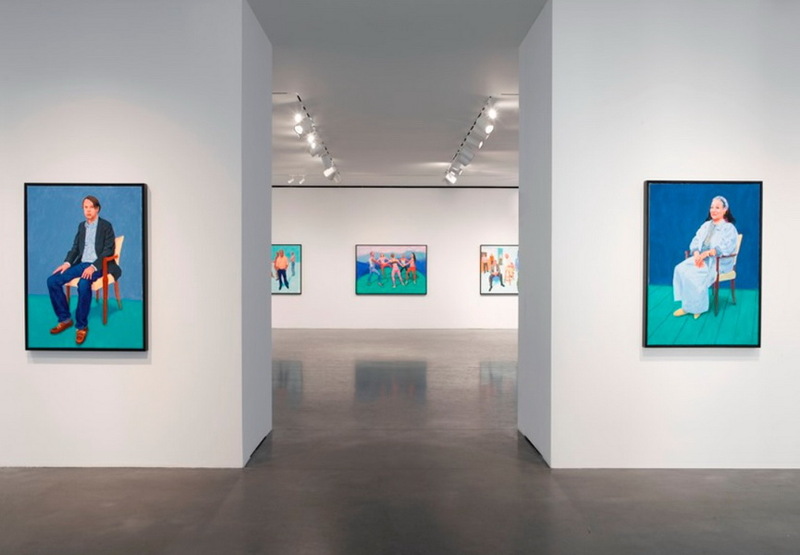 Titled Some New Painting (and Photography) , the exhibition shows Hockney’s latest works, series of joyful, vibrantly colored pictorial explorations of human figure which were created in his LA studio with artist’s friends, colleagues and dancer posing as models. And Photography section of the show presents five photographic drawings that combine Hockney’s drawings and his photographs taken during the painting sessions. Without a doubt one of the year’s greatest art shows, Some New Painting (and Photography) will run through January 10, 2015.